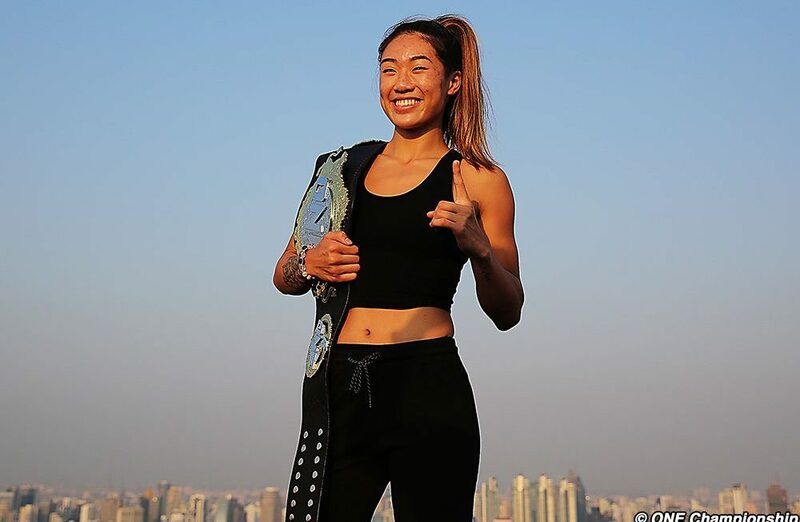 Angela Lee is looking to become the first ever woman in ONE Championship to hold two world championships. Angela Lee is only 22-years-old, but on Nov. 9 she will attempt to make history once again when she looks to become the first woman in ONE Championship history to both win and hold two ONE Championship world titles. Lee won the ONE Championship atommweight world title back in May 2016 when she defeated Mei Yamaguchi at ONE Championship: Ascent to Power. Having now dended the title three times over the past three years, Lee will now look to add the flyweight title to her collection on Nov. 9 when she faces the champion Xiong Jing Nan in Singapore. Speaking on a media conference call last night, Lee explained the importance of the upcoming fight to her legacy. “I live for challenges, this is why I do what I do, to test myself against the very best in the world. Now I am ready for a new challenge, and entering the strawweight division has lit a fire underneath me. On 9 November, prepare to see a more focused, faster, and stronger Angela Lee. Xiong Jin Nan will provide stiff competition for Lee though and the Chinese fighter comes into the bout riding an 8-fight win streak. Lee is well aware of the threat she poses to her though and isn’t seeing a second title win as a formality. “Becoming a two-division world champion in the sport is something I wanted for so long, but I know I have to earn it,” Lee said. “The time has come to turn that dream into a reality.